I’m pissed. I have this strong indignation right now which I’ll hypocritically label, “Holy anger”. Why, you ask? Wait for it. 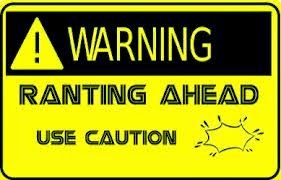 Last three weeks or so, I was attacked (and when I say “attacked”, I really do know what I’m talking about) by a barrage of messages about a new development in the world…or part of it. I really don’t have all the facts – or fables as the case may be – but one thing even I know is the fact that it is driving people panicky…and it’s a disease. On arrival, it had gone absolutely viral – in all kinda ways – scaring people out of their wits. And the Press being the heartbeat of titillating news have gone all sensational over it. But I can’t blame them really, after all they are informing the people right? Ebola. That’s the name. It has been over the place, spewing venom of terror all over the hearts of people. These messages and much more stormed my phone and ears with a vengeance that was potentially more deadly than the said virus. But each time I saw a big “E” on my screen, I’d instinctively ignore it. For some weird reason, I do not feel any concern for the supposed disease. My calmness scares me. I should lay my ears low to hear the news plus all the dos and don’ts, I should get worked up over it but nah. I honestly feel this disease does not deserve a post on my blog or my attention at all. I shamefacedly cringe as I type these words but all that talk about it is even more annoying than the virus. Then, there were the rumours, and the jokes. Gosh! I couldn’t stand it. That name is EVERYWHERE! At work, on the street, on my phone, on the news. Everywhere! And suddenly, everyone is a Medical consultant. I had no idea kola or salt were cure-alls till ebola. I mean c’mon! Look, I could be a very nice person right now and put up something like; “Ten facts you need to know about ebola” or “Ten cures for ebola”. I really could, I mean that’s what a good blogger would do right? But the problem is, I’m not really a nice person. Don’t let the smile fool ya *straight face*. But, like I said earlier, I don’t really have the facts. I purposely shut my ears, eyes and heart to it (except wisps of the whispers snuck in…somehow) but I know it has a name. 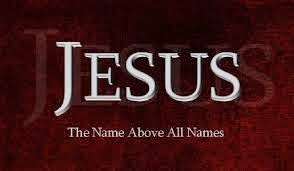 “Therefore God exalted him to the highest place and gave him THE name that is above EVERY name” (Philippians 2:9 _NIV. Emphasis mine). I know this disease has nothing to do with science or anything “logical”. It is all spiritual. Call me paranoid or superstitious, but there. So, don’t go around thinking all your fancy hygiene or concoctions will save you. Only Jesus can and will save you. You are seated with HIM in heavenly places, covered in the hollow of HIS hand. If anyone/thing is gonna get to you, it’d answer to Him first. And trust me hon’, ain’t no way ebola’s gon’ sneak past His jealous eyes. No way. But if you aren’t God’s, well…I’m afraid I have no reassurance for you except to find your way to His open arms. (Exodus 15:26). Or else, just go on ahead to ebola.com ey? (Don’t look at me that way. I’m not entirely oblivious!). There’s no reason to get stressed out over this…it’s a passing cloud. Stay in. The blood has you covered. Maybe I take things for granted. Maybe I’m careless. Maybe I’m ignorant. But, I’m not gonna let some unknown disease saunter out of nowhere and mess with my faith, peace and yes, sanity. I'd rather be an ignorant citizen than an ignorant Christian. Now hold up a minute. I’m not saying it’s not good to be careful and informed (actually, you should ALWAYS be – ebola or no) but I’m saying quite simply “Greater is HE who is in you than he who is in the world”. I just don’t see where ebola figures in all this. I wish I could shout out *yeah* to everyone getting worked up over this and tell them God has better but this was the best I could get. Either this or buy a Chopper and a huge megaphone, hollering all over the world. But, I’d just settle for this. Get me money to buy a Chopper and we’ll talk business. And once again I close my eyes in shame for paying this much attention. But it’s for you *coy smile*. What Ark, you ask? Well, go figure.